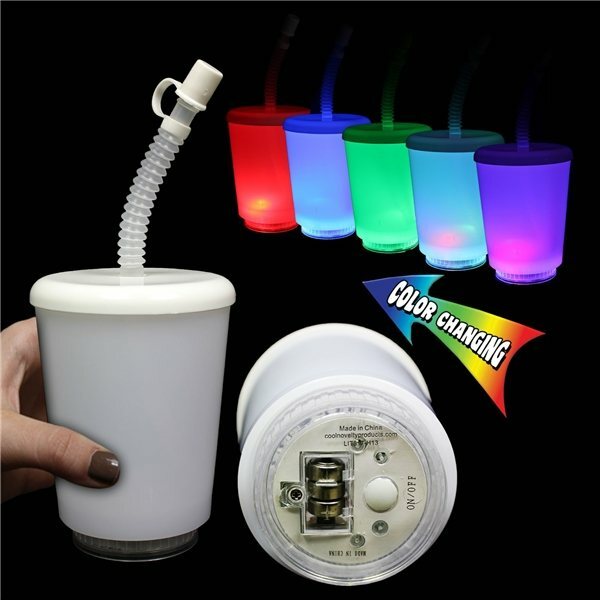 No spills and all fun with our 12 oz LED Cup with attachable lid and plastic straw with its own attached lid. Click the button on the bottom to choose from 8 different settings. 3 - AG13 batteries included and installed.